The museum offers all-day workshops for kids during the summer—Fridays at the Figge classes for children completing grades K–5, and Art in the Middle classes for middle school students. All workshops are held 9 am–4 pm. Sign up for a single session or for the whole series. Each workshop is taught by a different instructor with new theme-related projects each year. Cost includes all supplies. Kids should bring a sack lunch, beverage and snack to class. Click on the class to register or call 563.345.6630. Dance Me a Story is a fun interactive program for people of all ages that encourages reading through the vehicle of dance. Read the story, turn on the music, grab a costume and learn the choreography. Many stories presented will be based on well-known fairy tales. Meet in the John Deere Auditorium - free! Join the Figge Big Picture Outreach Program for this special IN-HOUSE series geared for all young art enthusiasts. The Big Picture is designed for K-12 school classrooms to connect curriculum with art; teaching "big picture" ideas from a visual perspective. This summer these on-hour drop-in sessions will highlight a variety of art connections using Figge outreach lessons here in the museum studios. 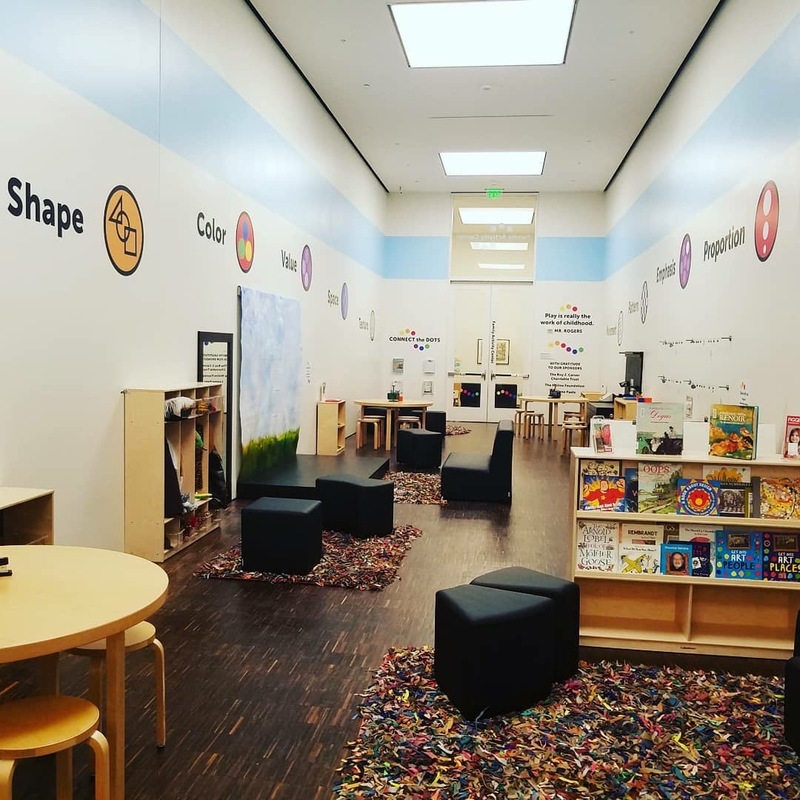 Each week the program is offered, participants will learn a new art concept, share in an art discussion, explore museum outreach objects and complete a fun activity to reinforce the theme of the day's lesson. Suitable for ages 5-12. Parents welcome to join or explore the museum. Meet in the Figge's Quad City Bank & Trust Grand Lobby. No reservations needed. Contact Laura with questions 563.345.6641. Boy Scouts of all ages can have fun learning experiences while earning arts and crafts badges/patches at the Figge Art Museum. A guided tour of the Figge's permanent galleries and traveling exhibitions is included in each workshop. Badge workshops are 3-hour events and include completion of all requirements for the particular badge the boys are working towards. We also offer non-badge workshops through our Partner Program. Scout packs can schedule one of these 2-hour events that includes a guided museum tour and a studio art experience. Activities accomplished in a Partner Program can be often be applied toward one of the art badges in the Boy Scout manual. Registration is required a minimum of 2 weeks before the scheduled event. A minimum of 10 Scouts/workshop is required. Call 563.345-6655 or kvandercoy@figgeartmuseum.org to schedule a workshop. For more information about programs for Girl Scouts, visit the Girl Scout website or contact Kelsey at 563.345-6655 or kvandercoy@figgeartmuseum.org. Have a fun, creative birthday party! The Figge is equipped to make any birthday celebration a memorable one for your child. Multiple options are available and are geared towards specific age groups. Complete the registration form. To schedule a party, please contact Kelsey Vandercoy at kvandercoy@figgeartmuseum.org or 563.345.6655. Download a flyer with more information. Stop in to see the newly refurbished Family Activity Center. It's the perfect escape for the whole family!